We are pleased to announce the 2014–2015 Helfand and Klemperer Research Fellows: Laura Robson (University of Reading) and Heidi Knoblauch (Yale University). Rösslin, Eucharius. The byrth of mankynde, otherwyse named the womans booke. [London : Tho. Ray[nalde]], 1545. The Audrey and William H. Helfand Fellowship in the History of Medicine and Public Health focuses on the use of visual materials. Laura Robson will explore how medical works in the sixteenth century used images and texts from Andreas Vesalius’ anatomical treatise, the Fabrica. She will use Geminus’s Compendiosa (1545) and Raynalde’s translation of The byrth of mankynde (1545) to demonstrate the complex relationship between anatomical image and text and to unite the history of the book with the history of the representation of the body. Our Paul Klemperer Fellow in the History of Medicine, Heidi Knoblauch, will use Lewis Sayre’s casebooks, the Photographic Review of Medicine and Surgery, and Bellevue Hospital Records. Looking especially at images and records from the Photographic Department at Bellevue Hospital (1868−1906), the first such department in a civil hospital in the United States, she will explore how 19th- and early 20th-century medical professionals in the U.S. used photographs of patients. 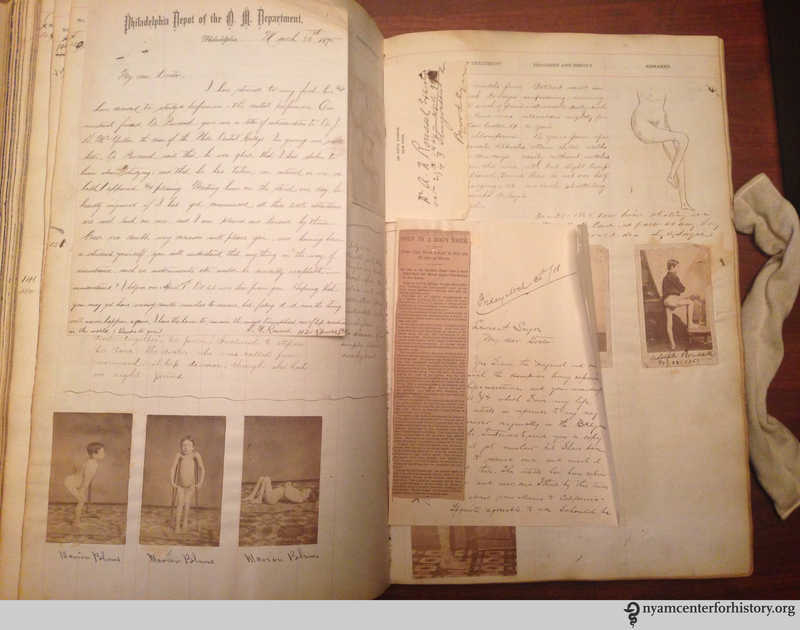 What did physicians intend to do with photographs? What role did patients play in the collection of photographs? Her research will track how patients and physicians conceived the confidential nature of recording, collecting, and disseminating medical information (an ongoing question for medical archivists and historians). Keep an eye out for guest posts from our fellows, who will also present their work at the end of their fellowships. This entry was posted in Announcements, Collections, History of medicine and tagged 16th Century anatomy, medical photography, Paul Klemperer Fellowship, William H. Helfand Fellowship by losnyam. Bookmark the permalink.